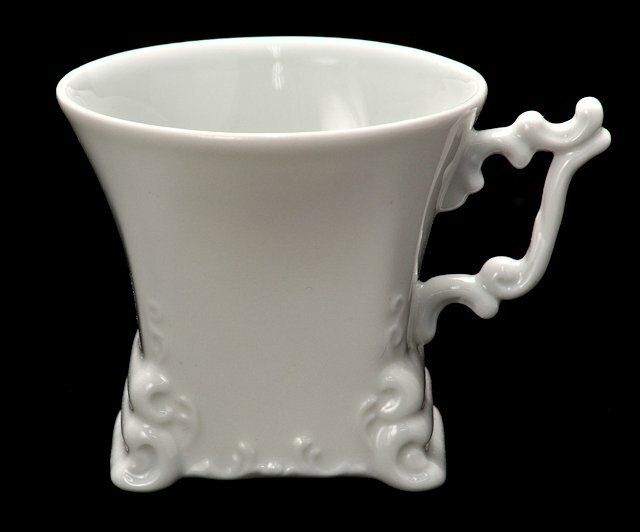 Your guests will rave about this uniquely-shaped cup and saucer. The base of this five ounce cup and the saucer are rectangular in shape while the rim of the cup is round. 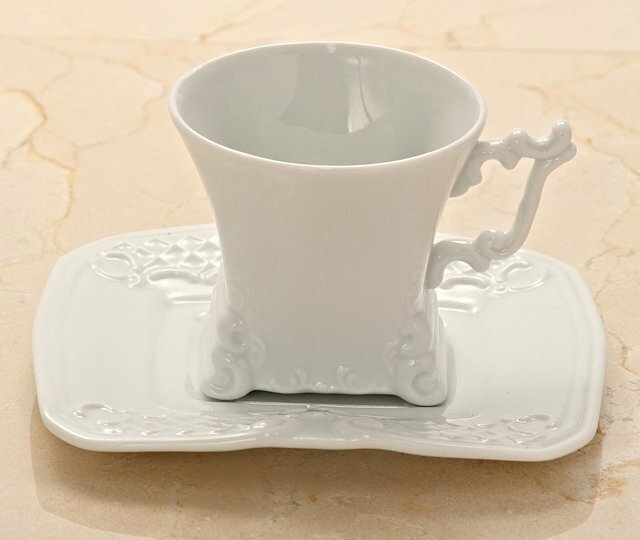 A beautifully embossed scroll pattern gives this cup and saucer duo a memorable design. The 5.25 inch wide saucer is just large enough to hold a sweet treat to go with your tea or Lungo. Cup stands 2.75 inches tall. A Nespresso Lungo (5.0 ounce) will just fit in this cup without any half and half or whipped cream. (If using for Lungo, save a bit out to fit your cream.) 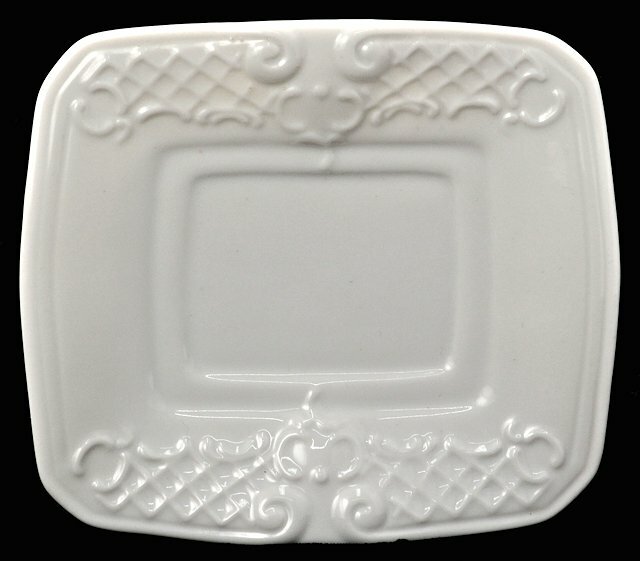 Matches White Porcelain Rectangular Dessert Plate. Set of four cups and saucers.